Last Saturday, the Nature Museum in Grafton hosted a presentation by Michael Clough from the Southern Vermont Natural History Museum (SVNHM). 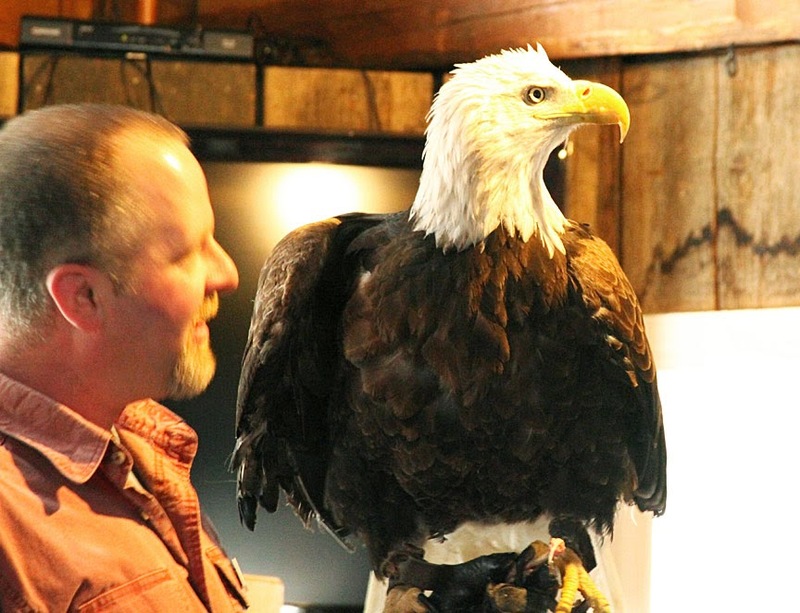 Mike's talk was titled "Symbol of the Sun: Raptors and Us" and explored the relationship between humans and birds of prey that goes back thousands of years. 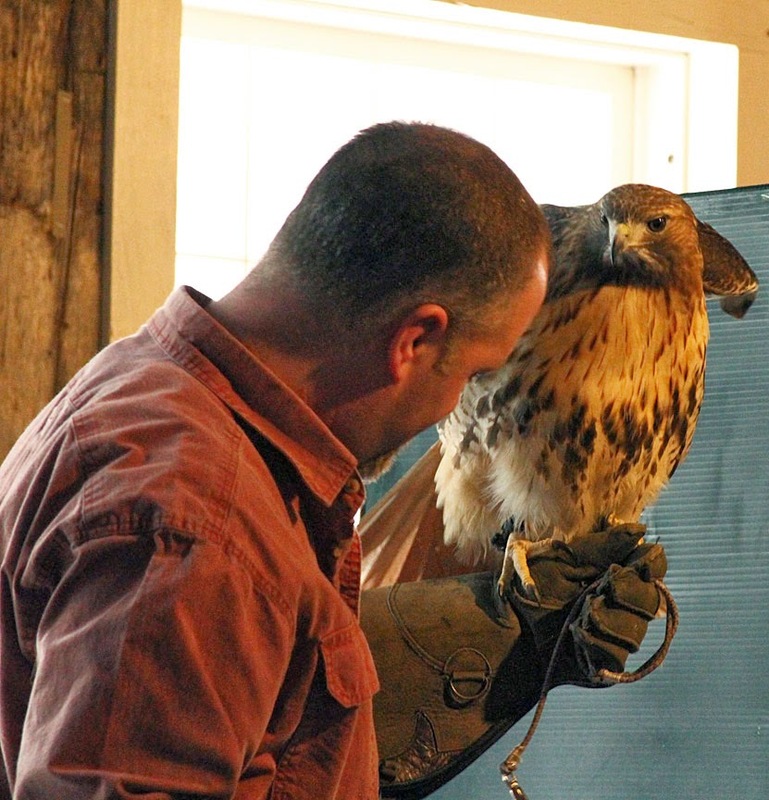 The program included an interactive slideshow about our history with raptors. 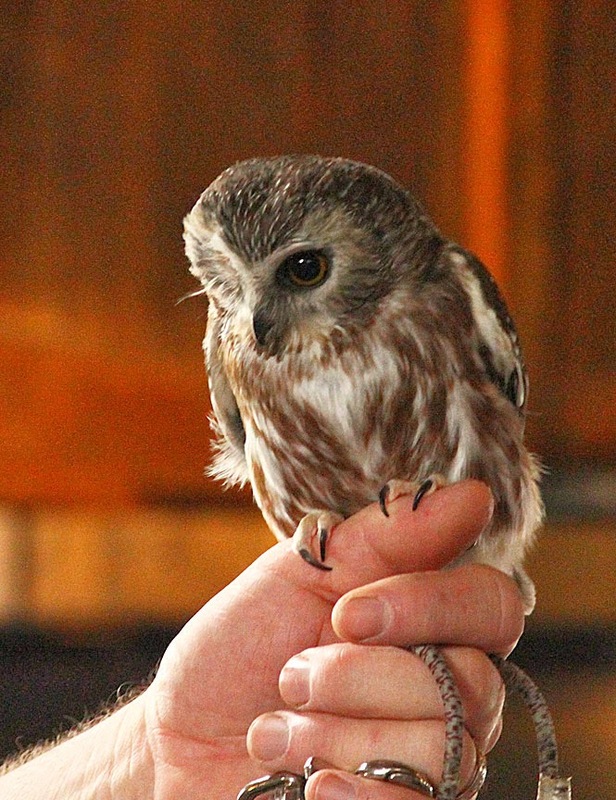 He brought a bald eagle, American kestrel, red-tailed hawk and a saw-whet owl that SVNHM cares for, all are recovered from injuries but unable to be released back to the wild. 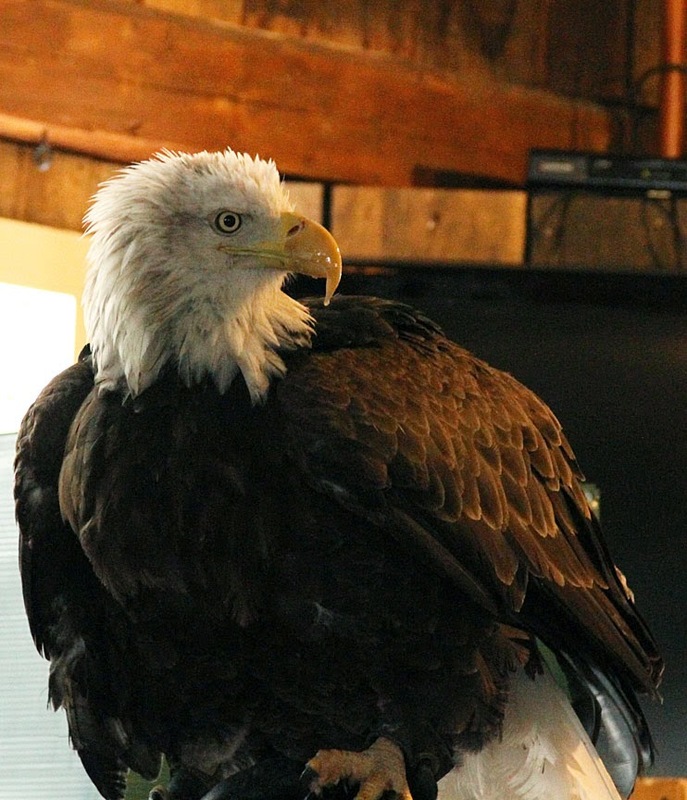 A recent addition to SVNHM, this female bald eagle was hit by a car in Wyoming and will be used in the museum's educational programs. She's very impressive although only weighs 11 pounds. Equally impressive is our smallest northeastern owl (this one with a permanent eye injury) who weighs between 3 and 5 ounces! If you missed the presentation, go to the Herrick's Cove Wildlife Festival in Bellows Falls on Sunday May 5th from 10am to 4pm. 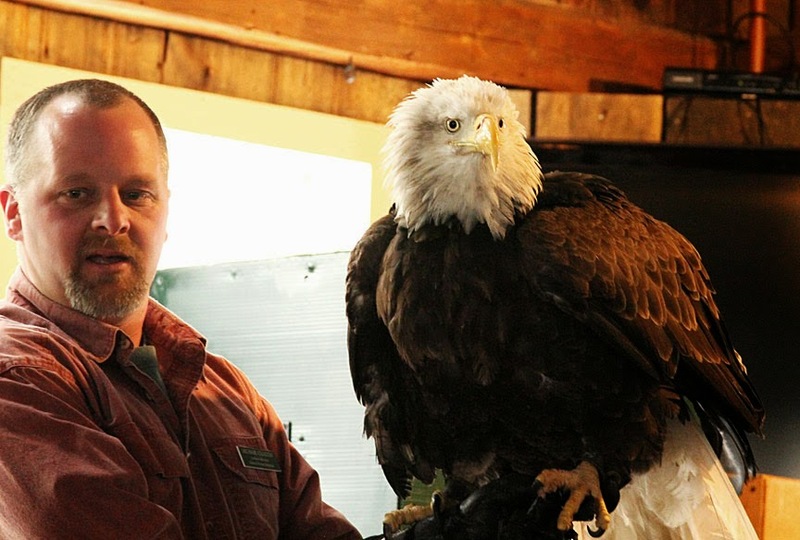 Michael Clough will be there with raptors and other wildlife from the Southern Vermont Natural History Museum in Marlboro, Vermont, located on Route 9. Or just go visit the museum!